Fibromyalgia Awareness | Information, Tips, Support, Patient Stories: Why do I have Fibromyalgia? Often when something really bad happens with us, we say, "Why me?" For once, I have got an answer! After I completed graduation with Chemistry as the main subject, I was not sure what to do in life. Hence, I went for post-graduation with my friend Sushmita. And my specialization was Analytical and Medicinal Chemistry. People wondered why would I do that! After I completed post-graduation, I went for an internship in a leading pharma company. However, in a few months I realized that if I continue my career in this field, it would be a very monotonous job (no offense meant). My friend Lata introduced me to copywriting and I found it very interesting! Excited about the advertising world, I became an ad person. After seven years of studying science! People wondered why would I do that. Then I moved from mainstream advertising to online communication when Sunisha told me what it is all about. I loved it as it was still a creative field and apparently did not involve late working hours. My friends in mainstream advertising wondered why would I do that! At the same time, I discovered the wonderful world of blogging. On 13th October, 2004, I wrote my first blog post on the blog I called As I Look at Life. After that, I became an active blogger, made some new friends and created a multitude of blogs. People wondered why would I do that! Then came Facebook and I learned how it can help in promoting blog, websites and businesses. I became pretty active on Facebook. Some thought I do so much time pass and wondered why would I do that! I was diagnosed with Fibromyalgia, a condition that changed my life. I cannot work full time as of now, I cannot travel long distances, cook or shop for hours together. I experience excruciating pain 24x7, forget things at times and have fever almost everyday. More importantly, some people think it's all in my head, others think I am just being lazy... yes, I am very much misunderstood. I wonder why would people do that! When I was diagnosed with it, I thought, WHY ME? And I got the answer just after a few months of suffering. I can understand the condition much better as I studied a lot. I can understand the medication, treatment process and side effects as I majored in Analytical and Medicinal Chemistry. I can create stronger communication to raise awareness about Fibromyalgia as I am an advertising person. I can reach out to millions suffering from Fibromyalgia, make their families and friends accept and understand them since I have online communication experience, a blogging platform, a Facebook network and knowledge of social media. I am the chosen one as I can combine all my experience to raise fibromyalgia awareness and touch the lives of many. If I did not have fibromyalgia, would I have ever thought of doing so? I doubt... actually I wouldn't. Well, as I always say there’s always something good about something bad. I know why I have Fibromyalgia and I pledge to do all I can to help out those who also are the chosen ones. That is a strong note and a point well taken... "Everything happens for a reason" understood and made to understand in the finest way possible. Unsympathetic and not expecting sympathy in any form shows how strong as a person you really are. Its not a meaningless life lived long yet a meaningful one even if short that makes the difference. Wonderful motivation... keep going strong. Prayers! We are connected thru Latha.I read your article and it really inspired me. You again proved that whatever happens - happens for good. Would like to know more about Fibromyalgia. Waiting for more articles from your end on the topic. Wish you all the Best and may god bless you with more success. The same thing happened to me. My parents had a mental illness and I have written 4 books about it. I happened to have PR/marketing background and be a writer, and my husband's best friend was a literary agent. So I can relate! Thanks for writing in Randi! It's nice to connect with you. Take care. Admire what you are doing, I have linked up your blog to my post. Sometimes I wonder if all these systems are in my head that I must be just losing it. Then I read even just one article on fibromyalgia and I feel like crying because I feel normal again! Meaning there are others out there like me; people who can relate ,understand, going through the same things as me. 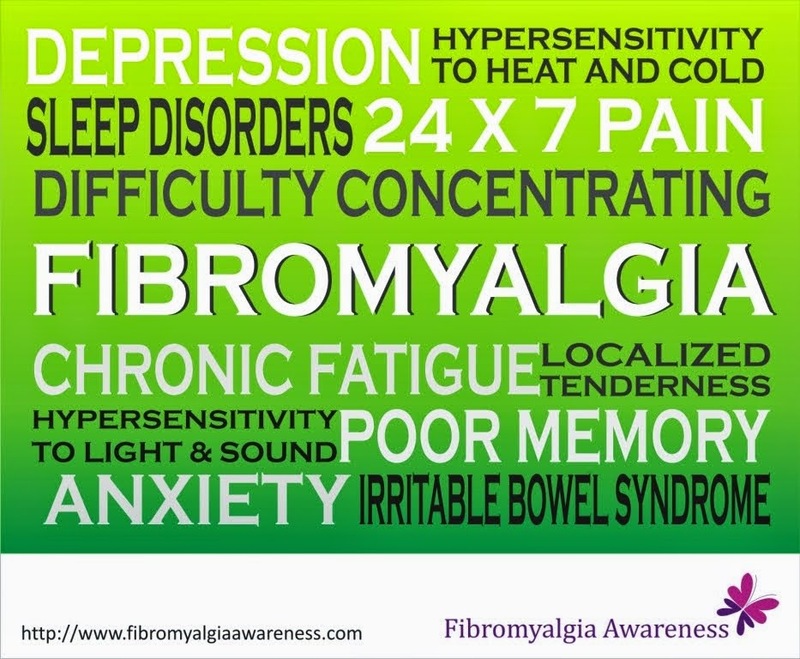 fibromyalgia as so many systems it is hard to accept or believe that it is all the same disease. I have had this a few years now and I don't read anything about it until I am at my wits end wondering what is wrong with me; wondering why I can't snap out of it. condemning myself, thinking I must be truly lazy and a complete loser. Then I read something like this blog and I just want to cry, it is almost like coming home to family where every thing is familiar and like mindedness. Maybe I just have to come out of denial and accept this thing called fibromyalgia.